The E.F.K.S. 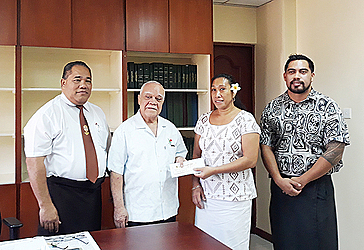 church received a cheque of more than $150,000 from the Unit Trust of Samoa (U.T.O.S.) yesterday. This is part of U.T.O.S’ 10 sene dividend distribution to its unit holders, which is equivalent to 10 percent of a tala invested in the Trust. 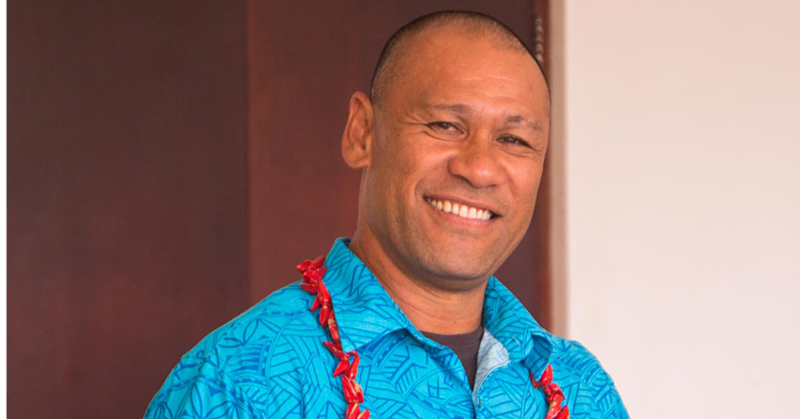 On behalf of E.F.K.S., Chairman of the Finance Committee and Member of the Council of Deputies, Le Mamea Ropati Mualia, said the cheque will be deposited to the church’s account for education purposes such as funding for schools daily operations and teachers’ salaries. Le Mamea thanked U.T.O.S. and the Government for such a great initiative that has benefited so many organizations and individuals as well. He also congratulated U.T.O.S. and its management for another profitable year and wished them the best for the future. U.T.O.S. 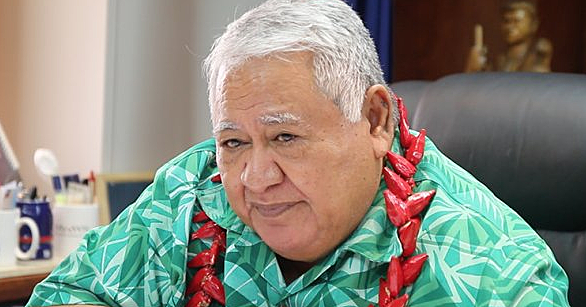 Chief Executive Officer, Justin Sa’u Lam said the total payout from the profit is $4.68 million tala and that goes out to about 2,100 unit holders, which includes the cheque being presented to the E.F.K.S. Church. “E.F.K.S. is one of our largest investors,” she said. A statement from U.T.O.S. said: “The Unit Trust has sustained the payment of dividends to Untiholders and has been doing so since June 2013. Last year, the Trust paid out 9 sene to its unitholders. It was also 9 sene in the year before last year. “On top of that, the unitholders has also enjoyed a 3.3 percent growth in the value of the unit since the beginning of the current financial year. 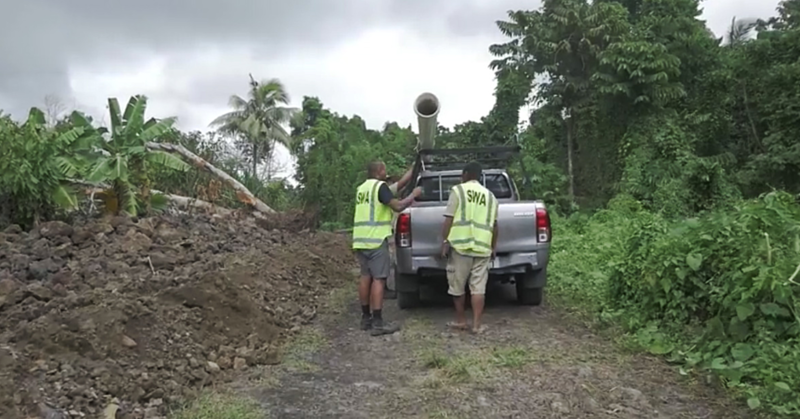 The main contributing factors to this growth are net capital gains from the Trust’s equity portfolio revaluation and dividends earned from shares in Bluesky Samoa Ltd and Bluesky Pacific Holdings Ltd. This takes the total return on the unit to 9.9% so far for the current financial year.” The dividend distribution for Unitholders was declared during the U.T.O.S. (Management) Company Board of Directors meeting last week. The total number of active unitholders has reached 2,116 as at 20th June 2018 and total monetary value of the invested by these unitholders is $68.82 million. The Trust has now reached total gross assets of $131.6 million and net assets of $73.04 million as at 20th June 2018. With an eight year investment track record showing a cumulative return to Unitholders of 98.6%, the U.T.O.S. Management Company C.E.O., Sau Justina Sau Lam, and her management team are exploring new investment opportunities not only in Samoa but also around the region to sustain the relatively attractive investment returns for U.T.O.S. Unitholders.